A friend shared this touching and enlightening expression of the experience of raising a child with a disability by Emily Perl Kingsley. She captures the experience in a way that enables others to understand and empathize with parents like her. “Holland? !” you say. “What do you mean, Holland?” I signed up for Italy! I’m supposed to be in Italy. All my life I’ve dreamed of going to Italy. But there’s been a change in the flight plan. They’ve landed in Holland and there you must stay. The important thing is that they haven’t taken you to some horrible, disgusting, filthy place, full of pestilence, famine and disease. It’s just a different place. So you must go out and buy a new guidebook. And you must learn a whole new language. And you will meet a whole new group of people you would never have met. It’s just a different place. It’s slower paced than Italy, less flashy than Italy. But after you’ve been there for a while and you catch your breath, you look around, and you begin to notice that Holland has windmills,Holland has tulips, Holland even has Rembrandts. But everyone you know is busy coming and going from Italy, and they’re all bragging about what a wonderful time they had there. And for the rest of your life you will say, “Yes, that’s where I was supposed to go. That’s what I had planned.” The pain of that will never, ever, go away, because the loss of that dream is a very significant loss.But if you spend your life mourning the fact that you didn’t get to Italy, you may never be free to enjoy the very special, the very lovely things about Holland. In Thomas Friedman’s poignant New York Times piece this week, he asked Muslim demonstrators wreaking havoc at our embassies abroad to “look in the mirror.” Many outraged demonstrators are claiming, “We never insult any prophet — not Moses, not Jesus — so why can’t we demand that Muhammad be respected?” Friedman responds by first clarifying that no matter how offensive the insult, it does not warrant attacks and murders of innocent people. Second, he points out the hypocrisy in the demonstrators’ outcry and proceeds to list the many ways in which Sunni Muslims around the world have disrespected and insulted religions of all types in recent years. We could all benefit from looking in our mirrors and give greater respect to others, but as Friedman points out, it is the responsibility of government and the media to condemn those who spew hateful rhetoric. And in America, we are fortunate to see exactly that in our reflection. After a deadly attack at the U.S. Consulate in Benghazi, followed by attacks on the U.S. Embassies in Sana’a and Cairo this week, the media widely reported the catalyst to be an anti-Islam film created by Jewish Israeli-American Sam Bacile. Bacile, at the center of this global controversy, claimed that 100 Jewish donors provided him with $5 million to finance the film in order to help Israel. As the JTA uncovers, the creator of the film, is neither Jewish nor Israeli; rather, he is an Egyptian Chrisitian living in California named Nakoula Basseley Nakoula. Despite recent reports revealing the filmmaker’s true identity, his widely publicized alias and lie resonated around the Middle East and will endanger Jews assigned with blame as a result. In the New Yorker’s online News Desk David Remnick draws attention to the damage done by Israeli Prime Minister Benjamin Netanyahu on the international stage with his “Neocon Strategy.” He specifically criticizes the way in which Netanyahu has inserted himself into American politics with derision of Obama and an alliance with Romney. 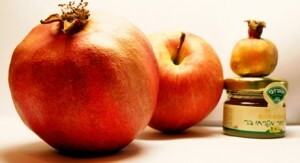 Andrés Spokoiny, President and CEO of the Jewish Funders Network, wrote a beautiful piece on Rosh Hashanah, the Jewish new year that will be celebrated next week. Traditionally, Rosh Hashanah presents a time for self-reflection and renewal at the start of the new year. At this pivotal time of year, Spokoiny empowers readers to rewrite their past by altering their future, reminding everyone that “The story of our lives hasn’t yet been written: a single act of courage or kindness can change how the narrative ends.” See the full piece below after the jump. Wishing everyone a good and sweet new year! Check out this cool clip from “Roving Mars” demonstrating how NASA sends its rovers to Mars in the Mars Exploration Rover Mission. Once again, youth leaders are leading the way to a brighter future. Stanford student initiative AMENDS brought 36 youth leaders from 17 different countries across the Middle East and North Africa to a summit at Stanford to learn from one another. Their talks, ranging in topics from peace-creating potential of micro-finance to the struggle to define and promote women’s rights, are now available online to engage a wider audience with their ideas and discussions.